A lovely neutral soft cute bear from Keel Toys with soft plush and-ordinating patches. 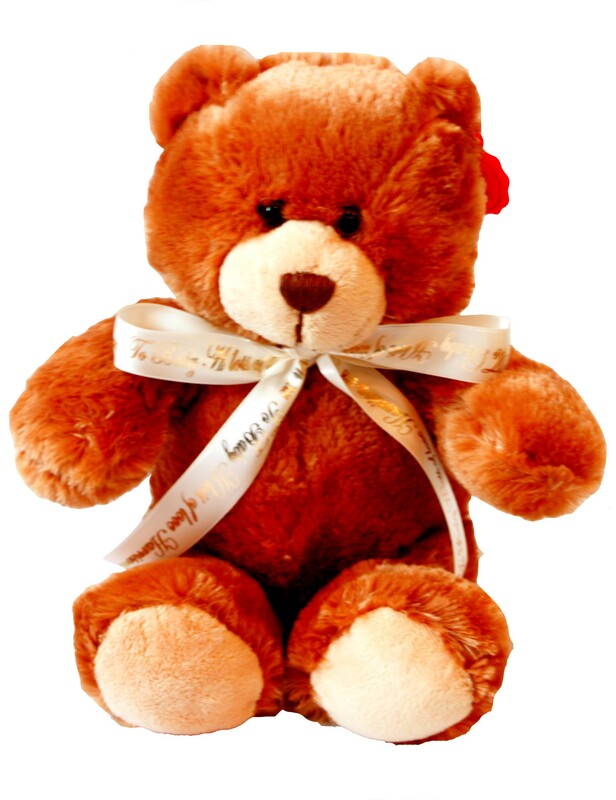 This bear is made extra special with personalised ribbon. Each bear measures approximately 27cm when sitting. Simply choose the colour of ribbon, print colour together with your personalised message and we will print this onto the ribbon and tie it around the teddy's neck. An ideal baby shower, new baby, christening, christmas or 1st birthday gift. Simply enter your personalised details into the text box below. For example the name of the child, date of birth and so on.